Show your love with this versatile necklace with a Stone Of Love wire wrapped heart pendant. The pendant is 1” long, and 1 1/4 “ at its widest, in a gold plated wire wrap. Each side is wrapped differently so you can vary the look! The necklace is gold plated wire with a coiled overlay and hook clasp. It’s technically a little longer than choker length, at approx. 15”, but lays close to your throat. 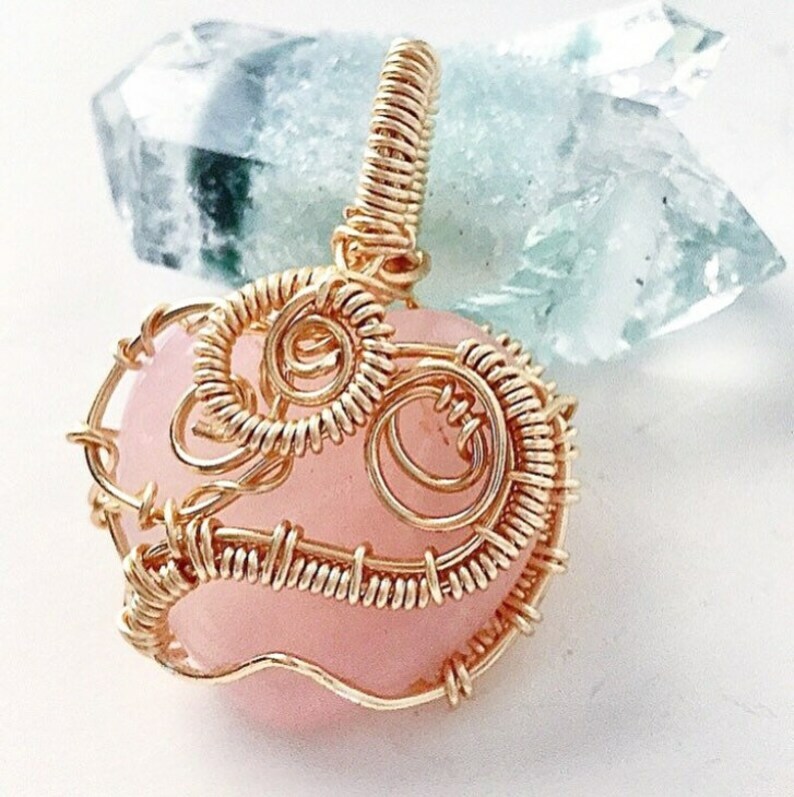 Rose Quartz is said to promote and enhance love, emotional healing and the release of stress. It is a crystal that soothes and calms, cleansing your aura.